Modern technologies are actively intruding into our life. These technologies are invented to make the life of a modern person easier and more comfortable. However, it's not easy to keep tabs on their progress. Especially if you are not into this business. But what should you do, if you want to buy this or that device? What should you pay attention to? How can you read technical characteristics or some obscure terms in reviews? 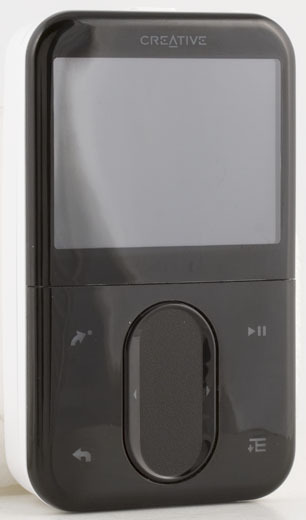 In this series of articles we'll try to provide a clear description of the portable media players industry. This series of articles is written for inexperienced users, not for professionals. In this respect, it will describe the most obvious things. We hope that our articles will help you choose your first (or, probably, not the first) player. OK, let's begin. We'll start from features of these devices. However, there are very few devices that can do all these. So you should make up your mind which functions are more important and which can be neglected. Players differ by their storage type in the first place. Let's find out which types are still in use, and which are disappearing from the market. Tape players are practically extinct for many reasons: bulky, bad audio quality, low tape capacity. So today it makes no sense to describe this type of players. CD players haven't left the market yet, but people with CD players are extremely rare on the streets. This fact can be explained by their bulky size compared to other devices. These players can work with encoded audio formats (such as MP3) and with regular CDs. In the first case, you can record about 700 MB of music. In the second case, CD capacity is limited to 80 minutes. Audio quality of these players is considered to be of reference quality. The only reason to use a CD player now is only if you are an audiophile, that is if audio quality is of utmost importance. Some models can even play video, VideoCD mostly, which cannot boast of high quality. Although we noticed a couple of products with MPEG4 support. Hard disk drives (HDDs) are used quite often in modern players, although their numbers are gradually decreasing. Their dimensions are minimized to the most popular 1.8" (about 4.5 cm). The advantage of this storage type is its high capacity (over 500 GB). What concerns its disadvantages, we can mention bad protection from stress, bigger than flash players, high power consumption, relatively high initial prices. Besides, it does not make sense to use hard drives smaller than 20-30 GB now. Flash memory is the main storage type in modern media players. Its size reaches 16 GB. Flash memory can be stationary (that is inside the player), and detachable (in the form of flash cards). There are a lot of players, which have card slots to expand their stationary flash memory. As a result, taking into account the maximum stationary memory size of 16 GB, a flash card may expand memory size of a player to 32 GB (maximum capacity of a flash card is also 16 GB these days). There are many types of flash cards, but practically all players with a card slot support only SD or SDHC cards (and their mini modifications - miniSD or microSD). SD differs from SDHC in maximum capacity: SD - 2 GB, SDHC - 16 GB. Modern players support SDHC, older products - only SD. Advantages of flash memory over other storage types - miniature size, low power consumption, immune to vibrations, low price, constantly decreasing prices, and growing capacity. These parameters make flash memory a leading storage type for players and other mobile devices, which should be small, consume little power, have a low price and weight. Along with a storage type, media players differ by their power supply. 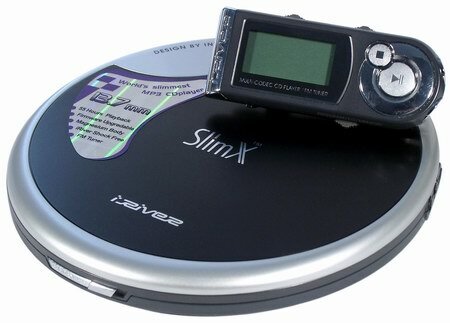 Modern players usually come with a built-in stationary battery; mostly Li-Ion. Depending on dimensions of a player, a manufacturer installs a more or less capacious battery. Miniature players can usually play audio for about 10 hours, larger products can do it for 20-50 hours. Such batteries are usually charged from a USB port of your computer. The process takes up 4-6 hours, depending on battery capacity. You can often come across brand or third-party AC chargers, which you can take with you on a trip—they are inserted into a regular mains socket. Sometimes you can replace a worn out battery in a service center, but this option may not be available. Sometimes such batteries are interchangeable. So it's easy to replace them. Besides, you can prolong its battery life (just buy a couple of extra batteries to supplement your stock one). Along with Li-Ion batteries (stationary or interchangeable), there still exist players that work from AA or AAA power elements. These may be rechargeable batteries (you'll have to use an AC charger, because players, except for CD products, usually cannot charge them on their own) or usual disposable batteries. It hasn't been decided which option is better - a built-in battery (stationary or interchangeable) or regular batteries. So manufacturers supply all three options, although the most popular option is to equip players with a built-in battery. Each approach has its pros and cons, specific of all portable devices. So we shall not cover this issue here. We speak about AudioCD, not about MP3 collections: these are two absolutely different things. Audio CDs offer reference sound quality, because they capture everything without any clipping or compression. What concerns MP3 collections, they are just compressed CD tracks recorded on a CD. Music in AudioCD format has strict technical parameters, which cannot be changed. That's why it's possible to calculate the total length of a disc - 74 or 80 minutes (an album may be shorter, of course). You can copy music from a CD to your computer, but it's not very easy. In order to save your music to a hard drive, CD tracks should be encoded into any audio format. You can do it with various programs - for example, Windows Media Player, which can be found in most computers. The audio quality will depend on encoding options. The higher audio quality, the larger your audio files will be. However, this is already the next point. Digital data from a CD can be read 1:1 and recorded as a WAV PCM file. As no details are lost, this operation is fully reversible - you can record a CD from your files. It will be almost the same or absolutely identical (if you didn't break tracks into files) as the original CD. The advantage of this format is that it's lossless. However, from the point of view of portable devices, such files are too big: one minute of music in this format requires over 10 MB of disc space. Besides, WAV support is not available in all players: HDD players tend to support this format, while flash players usually don't. There exist methods to compress music, when some audio data are lost. For example, MP3, WMA, OGG, AAC, etc. It's these formats that are supported by all modern players. But this support is limited. For example, any player supports MP3. WMA is supported by 3/4 of the modern devices. However, only 30-40% of modern players support OGG and AAC. An encoding program can compress original audio from a CD several times. However, the file size is relatively big - a usual CD can be compressed twofold. However, original audio is not clipped. While lossy formats just sound like the original audio CD, lossless formats provide original sound, which is compressed to take less storage space. There are several lossless codecs and formats. 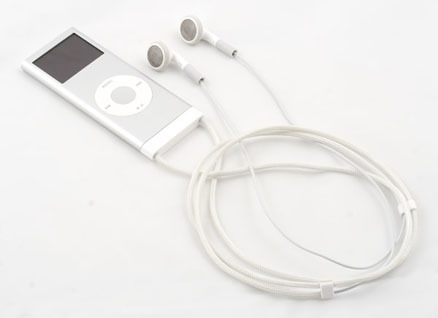 The most popular is the format used by Apple - it's supported in all iPods but shuffle. You may also come across such formats as FLAC and APE. These formats are especially promising from the point of view of their top audio quality - they are no worse than WAV PCM, but they take up 50% less storage space and they support tags (we'll touch upon them below). Regardless of a format, music files differ by compression quality. The main parameters here are bit rate and sampling rate. Bit rates vary much in music files. The higher the bit rate (all other things being equal), the higher the audio quality. The highest audio quality is provided by bit rates starting from 128 Kbps and higher. Lower bit rates are used only when audio quality is not critical, for example for voice recording. Besides, it's agreed that 320 Kbps hardly differs from the original audio track. However, it's a subjective factor, which depends on a given person, ear for music, and sensitivity. By the way, the bit rate of audio CDs is 1411 Kbps. As we can see, there is a great difference between compressed and uncompressed audio. Audio file size grows proportionally to its bit rate. The lower the bit rate, the smaller the audio file, the lower audio quality, and vice versa. Let's describe the notions of bit rate and sampling rate. Bit rate shows how much data is required to encode one second of an audio file. So, when the bit rate of a file equals 256 Kbps, it means that each second of this audio file takes 256 Kbit of memory. So you can calculate the size of a music file, if you know its length and bit rate. Another definition of this term is a bitstream. It's often used to describe audio microcontrollers. It's easier to understand this term from the point of view of interface throughput: how much bits are processed (go through a given interface) per second. It's impossible to say which bit rate to use to encode audio - it's a subjective matter. One user will be always satisfied with 128 Kbps, the other will grumble about 320 Kbps. Sampling rate—it resembles video resolution: the higher it is, the more details you will see. What concerns sampling rate, the higher it is, the more distinctly a file sounds. So the higher the better. The optimal quality is usually provided by the sampling rate of 44100 Hz (it's often called 44 kHz). This value is not chosen at random - according to the sampling theorem, a sampling rate of a signal must be at least twice as high as the rate of the source signal (if you know physics well, don't write angry emails to us, we simplified it deliberately ;)). As a human ear distinguishes sounds from 20-30 Hz to 20-22 kHz, we should use 40-44 kHz for digital audio processing. The standard of professional equipment is 48 kHz - with a little safety margin. But when the AudioCD standard was created, its authors did not want to compete with professional equipment, so the sampling rate was cut down to 44 kHz. Computer formats support even higher values. But as most music tracks are copied from AudioCDs, there is nothing surprising about this value being the widest spread sampling rate. The speed at which a player can save data into its memory is not a key factor, but it's still important. The higher the speed, the faster you can copy files to memory. The usual speed is 2-5.5 MB/s for flash players and up to 15-20 MB/s for HDD players. Prices for flash memory are constantly decreasing now. When you choose between identical players with different memory capacities, you should keep in mind that twice as much flash memory does not mean twice as expensive player, because the player itself also costs some money. So you should make up your mind whether to pay a little more for double memory capacity or save it. We got used to seeing information about songs and albums, lyrics, etc on CD cases. All this info can be stored in the digital form with the help of tags. 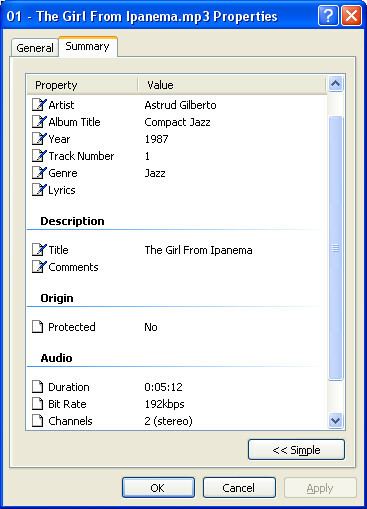 Tags are a reserved section in a music file, which stores information about the track. It can be modified manually, you can add new data. Tags contain a lot of fields, such as artist, album, song title, genre, year. Tags can also store an album image. Sometimes, you can even see lyrics in tags. Depending on a given player, its display may show a certain number of tag lines: some players show more, others fewer. So, the more fields a given player can display, the more track information we can get. Along with music, many media players support video. Just like music, video has to be compressed to save storage space (the need to do it is even more pressing here). There exist various compression methods leading to a lot of standards. Of course, it's difficult to create a player, which would support all standards. That's why, video often has to be converted into a special format, especially for players, where video playback is a secondary function. There also exist players, where video playback is their primary feature. 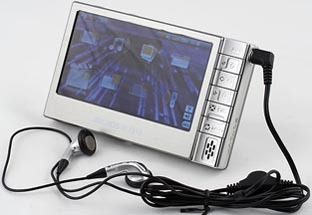 They usually support a wide range of video formats, and they are equipped with a large high-quality TFT display. There is very often no need to convert video for such players, because they support many video formats. 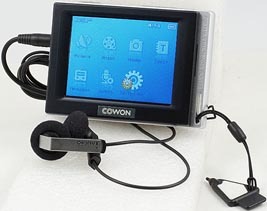 Besides, such players are often equipped with a wide display (16:9) for comfortable playback of movies. Wide movies can be watched on usual displays (4:3), of course, but it may be not very convenient. We've covered here two main functions of modern media players - audio and video playback, as well as explained some basic notions you may come across. In the next article you will learn about the most popular functions of modern players and about some of their peculiarities. To be continued!